COUNCIL BLUFFS, IA DECEMBER 6, 2011 – Chris Brandt #82 BFGoodrich / Toyota Pro Lite Unlimited Truck will be at the final round of the Lucas Oil Off Road Racing Series in Phoenix, Arizona at Firebird Raceway this Saturday, December 10th. With 12 podium finishes Brandt has lead the points all season but fell 3 points behind Brian Deegan after the last Las Vegas rounds. “This weekends race is the last chance to determine the series champion. With only 3 points separating Deegan and I, you know it will be the must see race of the season!” said Chris Brandt. Sunday’s Pro Lite vs Pro Buggy Cup Race has a 1st place cash prize of $20,000, 2nd place of $10,000 and 3rd place will receive $5,000. “We are extremely focused on both races this weekend. We have raced all year with great success and now it is time to finish the year with two wins,” said Brandt. Chris Brandt has had an excellent 2011 season. Although the graphics on the truck have changed throughout this season, the talent behind the wheel and the desire to win has never faltered. 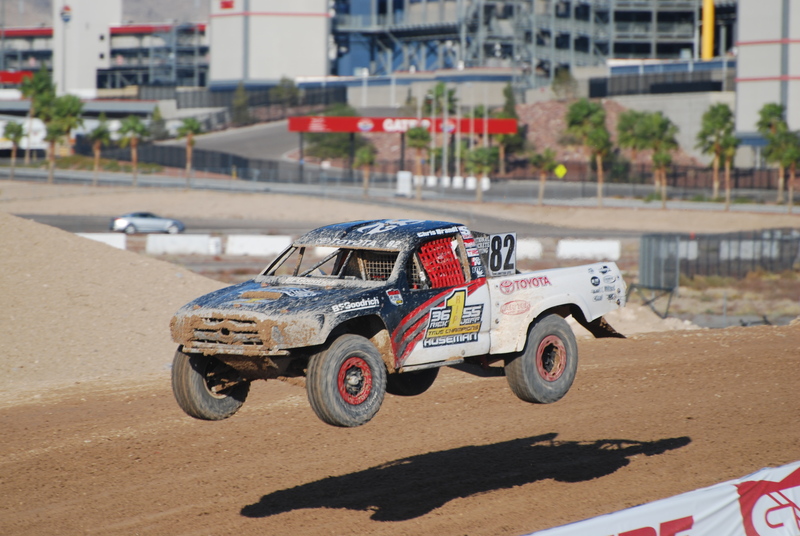 Chris Brandt was named the 2009 Lucas Oil Off Road Racing “Driver of the Year” and continues to prove his presence on the Pro Lite Track being coined as “Mr. Consistency” in 2011 with the 12 podiums during the season. Starting in ATV Racing, he moved into trucks with great success as the Great Plains Off-Road Racing Association Champion from 1994-1997 where he would win multiple classes during the same weekend, earning him the title “Ironman”. With multiple championships in PACE and CORR “Rookie of the Year” in 1999, he came into the Lucas Oil Off Road Racing Series with a history of success and a winning nature behind the wheel. Chris Brandt manages to race competitively while running one of the largest concrete cutting companies in the Midwest with his father and raising his young daughter, Macy. 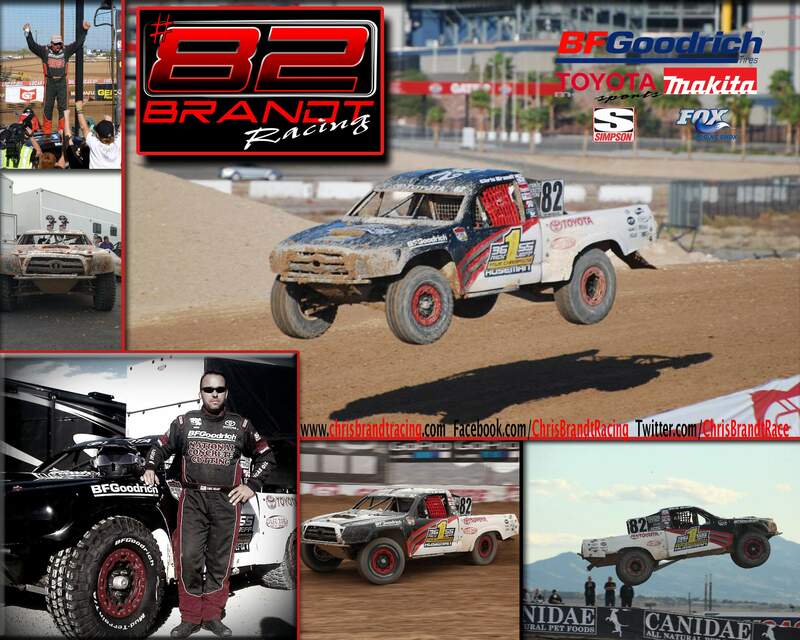 Chris Brandt and the entire Brandt #82 Racing Team is looking forward to continuing the excellence into the 2012 season.